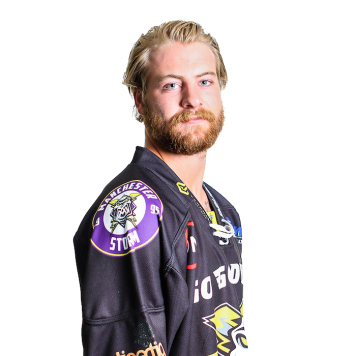 Linden Springer had a breakout rookie year with the Manchester Storm in 17/18 and returns as a key player in the squad for 18/19. He impressed everyone with his all-action performances and established himself as a firm fan-favourite. Growing up in Alberta, Springer player midget, bantam and junior hockey for his local team in Lloydminster, where he captained the Bobcats in 14/15 and won the award for Most Outstanding Defenceman in the AJHL. He signed for the Storm from Lakehead University in Ontario.